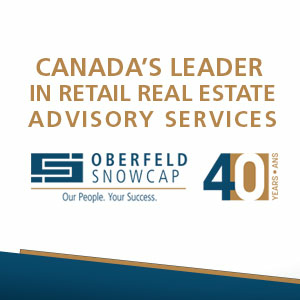 First Capital Realty has strategically made an effort of consolidating real estate property in key retail districts in order to create a synergystic and vibrant shopping neighbourhood. It’s a strategy the company has successfully deployed in places such as Yorkville Village in Toronto, Liberty Village in Toronto and Mount Royal Village in Calgary. Jordan Robins, executive vice president and chief operating officer with First Capital, told Retail Insider that the company thinks about real estate in a holistic way. Is there a common theme to what the company is doing in those neighbourhoods? Burton said the company thinks about a certain neighbourhood, based on what First Capital currently owns, what it could acquire in the future, who its partners are and who it can work with to realize what really is possible. So in the neighbourhoods such as Yorkville Village, Liberty Village and Mount Royal Village there’s an emphasis on analysis and strategy. Daytime population is key. So is employment in the area. Transit access and pedestrian friendly are also important elements. “If I look at Yorkville or Liberty Village, we put together strategic pieces of real estate which some people, when we bought them, wondered why we’d buy those things,” said Burton. “As the network comes together, the neighbourhood comes together. As the neighbourhood comes together, the retailers come together, the owners come together and it becomes a real thing with a sense of place. Robins said as First Capital looks at aggregating properties in specific or targeted neighbourhoods it will support growth by virtue of the fact of the demographic that surrounds them in both income and population density. Liberty Village, Yorkville Village and Mount Royal Village are the three places where First Capital’s philosophy is most prominent. But the company has also adopted a similar approach in Griffintown in Montreal. “If you look at our real estate across the country, you’ll note that we aggregate real estate in specific areas we believe in and that supports this philosophy and we think we can add value to in a broader way,” added Robins. Burton said the basic commonalities in these neighbourhoods is they’re all places that have the bones and the skeleton of something quite spectacular. “If we can do what we want to do and if the communities can come together in the way we think they will, they’ll be the points on the map that everybody knows in those cities,” said Burton. “I’m very interested in urban spaces because of what urban really means. Urban means that you have to have public transit, you have to have public space there, you have to have a good mass of people of significance. Each of the neighbourhoods First Capital aggregates property is different but Robins said typically 10 to 15 properties for each are accumulated, making it the largest single property owner in those communities. “We want to identify places that have the capability of being great neighbourhoods in cities that are expanding and becoming world-renowned. This will definitely resonate with prominent retailers, city builders and community partners”.